A community 1 million+ strong. Inspiration at every click. Education that changes lives. Enhances patient care. Content and jobs you want. When you want. Jobs Make your next career move now. Search our jobs board by specialty, location, job title or employer. Blog Follow our nursing blog for the latest industry trends and tips to boost your career and educational goals. Events Jumpstart your career and connect with your nursing friends at career days, CE seminars, national conferences and more. We have your state-required courses. Fulfill your requirements and save with an Unlimited CE membership. 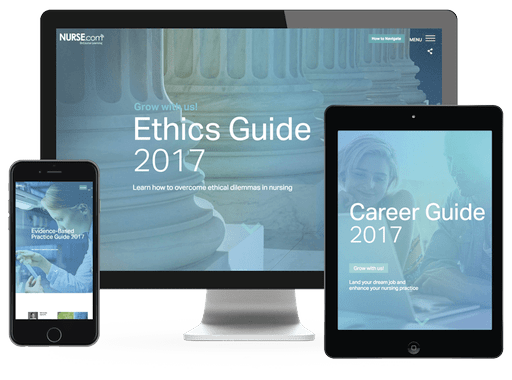 Joining Nurse.com is free and gives you access to free courses. Did we mention it’s free? Having difficulty choosing among thousands of courses? No problem. We keep track of what’s trending so you’ll always be able to select the hottest course topics. Enjoy the industry’s most comprehensive, blended learning experience for clinical proficiency and exam preparedness. Connect with your peers and enhance your patient care. Intimidated by exam prep? Eliminate your anxiety and make preparing easy with our certification review prep courses. Save 50% on hundreds of courses with an Unlimited CE membership. Plus, your state requirements are included. Learn and save. Now that's sweet! 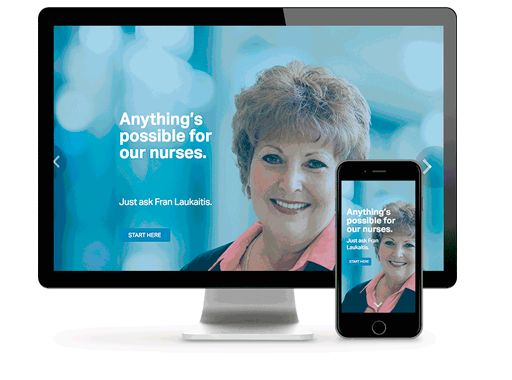 Enhance your practice with helpful tips, career and education advice and professional insight from nursing experts, conveniently organized in a format that goes anywhere you do.